Sun sextiles Mars and conjoins Rahu. Mars trines Ketu. Mercury conjoins Sun & Rahu and sextiles Mars. Saturn sextiles Mars and Trines Jupiter. 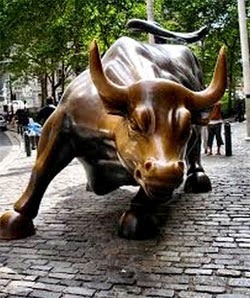 The market will be ruled by the bulls today. Movement will be seen in Oil, Gas, Milk, Dairy, Alcohol, Rice and Silver. Persons having Leo and Pisces Moon signs / lagna will be financially affected today. They should refrain from money matters today.